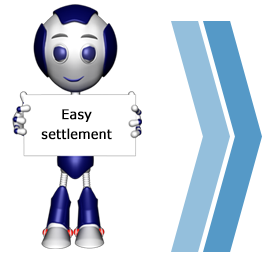 Claim settlement is one of the most important services that an insurance company provides you. Insurance companies are bound to settle the claims promptly. Every product has a different claim process which you might go through. You must know the process of claim before initiating with it. Here, we attempt to help you provide the information on the claim process. This will tell you what information you need before you get in touch with your insurance company and what you can expect from the claim process. In today's lifestyle, one can face health issues anytime. Got the health insurance but not knowing what to do when need arise? Planning to visit abroad for a vacation? Worried about any mishap or illness? Not knowing what to do? We help you for your vacation tension free. Cashless hospitalization is a facility provided by the Insurance Company wherein the policy holder can get admitted and undergo the required treatment without paying directly for the medical expenditure. The eligible medical expense, thus incurred, shall be settled by the Insurance Company directly with the hospital. The Cashless claim facility can be obtained only at the hospital listed in the network of the Insurance Company. Once your doctor has recommended for the hospitalization, contact your insurer immediately and inform about the hospitalization. In case of emergency hospitalization, you must inform your insurer within 24 hours of hospitalization. Get admitted to the hospital by showing your health ID card or policy number for identification purpose.Hospital will check your identity and fills up the Pre-Authorization Form with all the relevant details and send to the insurer. Hospital will submit the pre-authorization form to the insurer. Insurer will review the documents and provide confirmation to the hospital to proceed with the cashless services. Normally, TPA issues a letter of confirmation within 3-6 hours provided all relevant documents are submitted. Hospital sends the final bill to the insurer at the time of discharge. Once the bill is confirmed, insurer makes payment directly to the hospital. In case of a reimbursement claim, the policy holder pays the expenses himself with the hospital and then claims for a reimbursement of those expenses from the Insurance Company by providing necessary documentation. Avail the treatment as prescribed. Intimate your insurer in case of the treatment done outside the network hospital. In the meantime, you can proceed with your treatment and pay the bill. Get your all original documents and reports from the hospital. Your insurer will review the claim documents received and effect the payment within 7 days of receiving documents. If treatment claimed is not covered under your plan, a rejection letter will be sent to you stating the reason for the same. When a person with a life insurance policy - called a life assured - dies, claim intimation should be sent to the insurance company as early as possible. The assignee or nominee under the policy can do this. So can any close relative or the agent who handles the policy. The claimant must submit the written intimation to the insurer at the earliest to enable the insurance company to initiate the processing. The claim intimation should be supported with the basic information such as policy number, name of the insured, date of death, cause of death, place of death, name and contact of the claimant. As per the IRDA regulation, the insurer is required to settle the claim within 30 days of the receipt of all the documents.If claim is accepted, then payment is made to the nominee and if the claim is rejected, then the same is required to be communicated to the claimant stating the reasons. If the claim requires further investigation, the insurer has to complete its procedures within six months from receiving the written intimation of claim. Maturity payment is the payment made by the insurer to the insured on the date of maturity. The amount payable at the time of the maturity includes a sum assured and bonus/incentives, if any. The insurance company sends the blank discharge form at least 2-3 months in advance of the maturity date to the insured to fill in the various details. You must ensure that you receive the maturity claim / discharge form from your insurer. The insurance company will pay the maturity amount to the insured through payee cheque or through direct credit into account. Claim should be intimated to the insurer at the earliest. The claim intimation should be supported with the information such as policy number, name of the insured, date and cause of death, place of death, name and relationship of the claimant. Medical records (current & past) viz. hospital records, reports of diagnostic tests done. The insurer reviews the document submitted by the insured and on the basis of the same accepts and rejects the claim. If your vehicle is insured and has a third party liability cover, the compensation sought by the third party for damages in case of an accident will be fully paid by your insurance company. Where your vehicle is involved, it is important to report the accident to the police and obtain the first information report quoting the details such as registration number of the vehicle, license number of the driver, and the names/contact details of witnesses, if any. Intimate your insurer immediately along with the basic details of the Policy, Driver, and Place of accident. If other's vehicle is involved i.e. if you are a victim, you must obtain the insurance details of that vehicle and intimate the insurer about that vehicle. If you have Comprehensive coverage on your insurance policy, you will be covered for the stolen car as well and eligible to get a claim for the theft of your car. You must report to the police and obtain the First Information Report. If your vehicle is not found within 90 days, then you need to obtain Non-traceable report from Police and submit the same to your insurance company. If you have taken a car loan to purchase your car, the insurer will settle the amount directly to the financier. The settlement amount is on the Insured Declared Value (IDV) which might however differ based on usage and market value. Claim for damage to your own insured vehicle is called an own damage claim and you are eligible for this if you are holding what is known as a package or a comprehensive policy. Where your vehicle is damaged due to accident, you must immediately inform insurance company and police, wherever required, to enable them to depute a surveyor to assess the loss. You should send your vehicle to the garage or authorized workshop where you can also report your claim. Your workshop or garage will prepare an estimated cost of repairs and liaise with insurance company. Surveyor will inspect the vehicle and submit the inspection documents to your insurance company. Insurance company will review the documents and on the basis of the inspection will authorize the garage or workshop for the repairs. If your policy provides for cashless service, which means you do not have to pay out of your pocket for covered damages, the insurance company will pay the workshop directly. In case of reimbursement service, the approved claim amount will be intimated to the garage and you will be paid by insurer within 7 days of submission of final documents. To lodge a claim, you must inform your insurer on their helpline number providing the necessary details. The actual claim process happens once you return back home in India. Your documents are reviewed by the insurer and you get your claim recovered. Intimate the airline about your loss and lodge the complaint and obtain PIR report from the airlines authority. Also do inform your insurance company immediately. If the delay in flight is more than 6 hours, then you must inform the airline authorities and to your insurer as well. You must inform your insurer immediately giving them full details of the incident. Make sure that you do not commit any benefit/compensation or enter into any agreement with the any party involved. Full statement of the facts in writing. Lodge a complaint with local police and obtain First Information Report. You must inform your insurer immediately and provide relevant information which includes your policy and other details regarding your claims. Your insurer authenticates your claim request and escalates the request to the claim department. If claim department validates and register your claim request, then you are appointed a surveyor within 48 hours. You will need to submit all relevant documents to the surveyor. He will inspect the incident and nature and extent of loss and make the report. On receipt of all the documents, the insurance company processes the claim within 10-15 working days. Which are the necessary documents for the compensation of claim ? Are there any investigations that happen once the receipt of claim done? The Company may investigate claims at their own discretion to inspect validity of claim. Such inquiry shall be concluded within 15 days from the date of assigning the claim for investigation and not later than 6 months from the date of receipt of claim intimation. Verification carried out, if any, can be done by people or entities authorised . Whom do i actually have to contact for claim intimation and settlement? You must notify your insurer either at the call center or in writing, in the event of planned or emergency hospitalisation.